Growing up on what is now the Peacock Road Tree Farm helped shape her life view. However, the mold was probably already cast generations before with her rich family history of naturalists and outdoorsmen. Melissa lists her grandfather William Johnston (artist and forest ranger) as a primary influence on her art. As a child, she would often visit her Grandparents at their cottage in Manistee National Forest. The fields, woods, streams and creatures they contained were her wonderment. Her respect and love for them were natural and predestined. Melissa’s Art is the record of her very real conversations with Nature. Anthropomorphic, Surreal, and even abstract at times; it springs to life, incarnate with her humane and authentic voice. 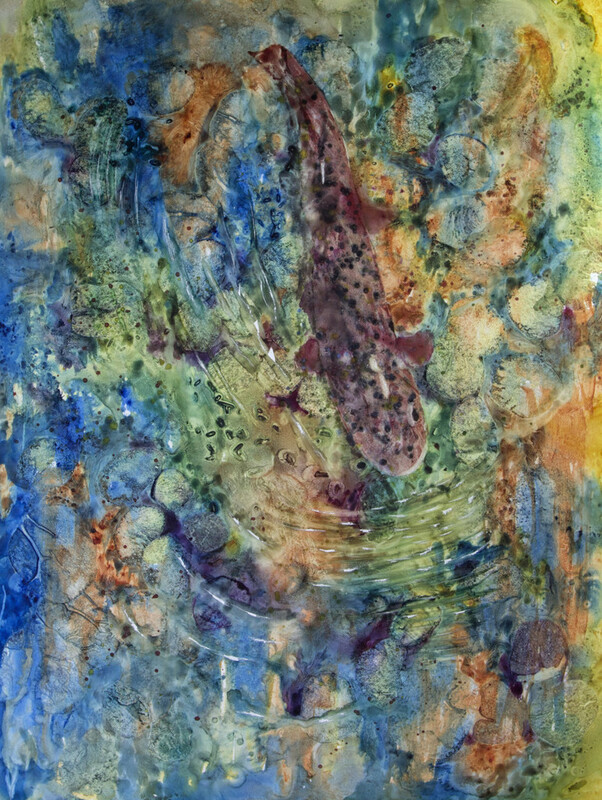 Melissa fervently believes in the innate value of each creature in nature; She openly accepts and ardently defends the reaction of every person viewing her art. You can see more of Melissa's work at her website, http://www.Melissaeggleston.com.